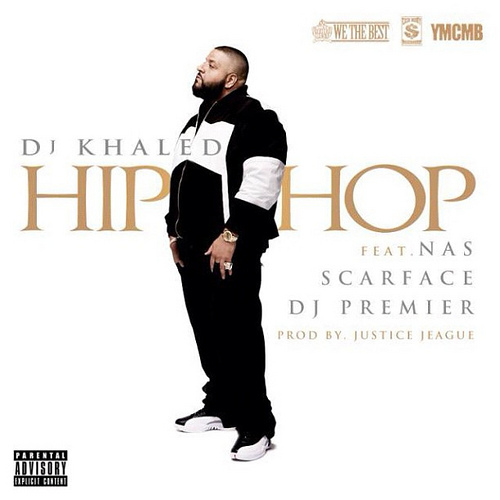 Speaking of the devil, DJ Khaled unleashes arguably the most anticipated track from his upcoming Kiss The Ring album with “Hip Hop”, a boom bap-driven, piano-steered number featuring two top drawer verses from veteran emcees Scarface and Nas, and expert scratches by Mr. Hip-Hop himself, DJ Premier. Khaled’s built quite the reputation for hopping on whatever’s hot (which often includes heavy bass, a Rick Ross verse and/or incessant squaking), but props are due here; this is true school hip-hop revived for the new era. Stream “Hip Hop” in its Funk Flex-tagged form below, and stay tuned for a full CDQ version to surface soon. Kiss The Ring drops August 21st.